The Encardio-rite’s monitoring system is versatile and can correlate data from structural, geotechnical, geodetic, environmental and Tunnel Boring Machine (TBM) sensors etc. 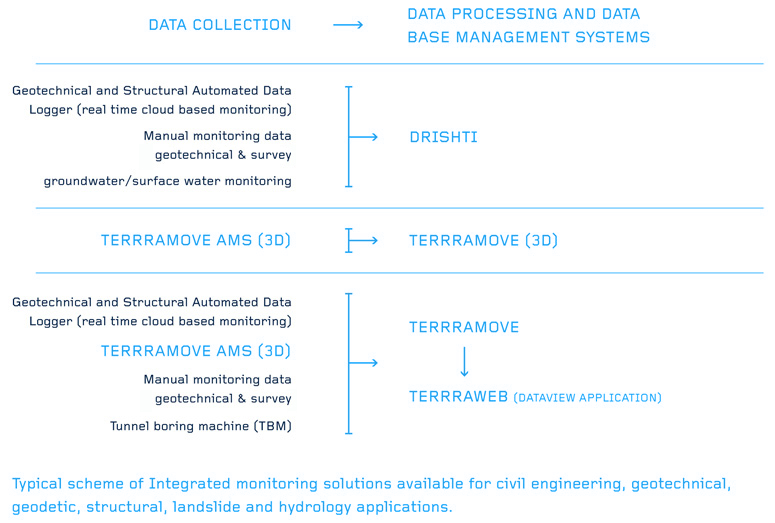 Encardio-rite offers a complete online cloud-based or local access data monitoring solution for monitoring water resources or civil engineering/construction projects. Comprehensive data management systems that can store data from different sources. Multiple authorized users at different locations can simultaneously interact with the software through a web-browser to view any real-time data/changes, graphs or reports from any project site.